레시페에 방문하실 때, Grand Mercure Recife Atlante Plaza에서 집에있는 듯한 편안함과 그에 맞는 최상의 서비스를 느껴보세요. 이곳에서 생생한 도시의 모든것을 쉽게 즐기실 수 있습니다. 편한 위치와 함께, 호텔은 도심의 필수 관광지에 손쉽게 접근할 수 있는 곳에 있습니다. 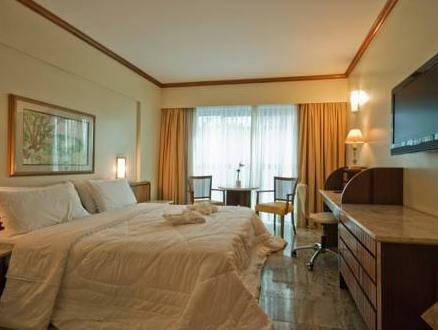 Grand Mercure Recife Atlante Plaza 숙박시설은 고객님께서 최상의 서비스와 다양항 생활 편의시설을 제공하며, 가능한한 편안하게 머무실 수 있도록 열성적으로 고객님을 모시고 있습니다. 이 호텔은 고지식한 손님도 만족할 다수 시설을 제공합니다. 모든 숙박시설에는 생활 편의시설이 마련되어 있어 더할나위 없이 편하게 보내실 수 있습니다. 헬스장, 실외 수영장, 정원 등을 포함하여 완벽한 여가시설이 구비되어 있는 호텔입니다. Grand Mercure Recife Atlante Plaza 숙박시설은 레시페에서 모든것을 다 해결 할 수 있는 양질의 숙박 장소가 되어 줄 것입니다. Please note that this property does not accommodate pets. According to the Brazilian Federal Law 8.069/1990, minors under 18 years of age cannot check into hotels unless they are accompanied by their parents or a designated adult. If a minor is accompanied by an adult other than his parents, it is necessary to present a written authorisation for the minor to check into the hotel. Such authorisation must be notarised and signed by both parents, and presented along with notarised copies of their IDs. Loved the spa! Breakfast offered a good variety of local sweets. While the breakfast is very good and other amenities decent, the rooms are more of a 3 star (compared to Asian and Europe standards). Early morning or late evening, no hot water available for showering. No complimentary water bottles. The rooms need renovation. Toilet didn't flush well. The water in the swimming pool was not clear. Etc. Proximity to beach, great service. 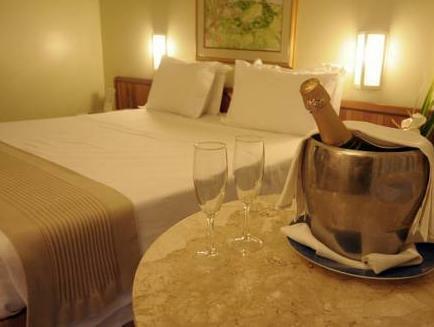 My stay at the Atlante Plaza was very pleasant. I arrived late at night and was greeted by a courteous and kind staff. My check-in was processed quickly and I was escorted by the bell man to a room. When we arrived, I realized it was a smoking floor (they never asked my preference during check-in) but when I commented on the strong scent, the bell man was empowered to fix the situation quickly and moved me into a non-smoking floor. The hotel itself is very modest, but it is right across the street from the beach. I took advantage of the proximity to go for a jog along the sand in the morning and found that the hotel had a definite beach-y feel. This hotel is substantially akin in quality to other non-luxury hotels in beach towns where patrons are looking for a place to sleep but have no other expectations of comforts and pampering, aside from a great view and convenient access to the water.